Capercaillies are truly a reason to visit Finland. 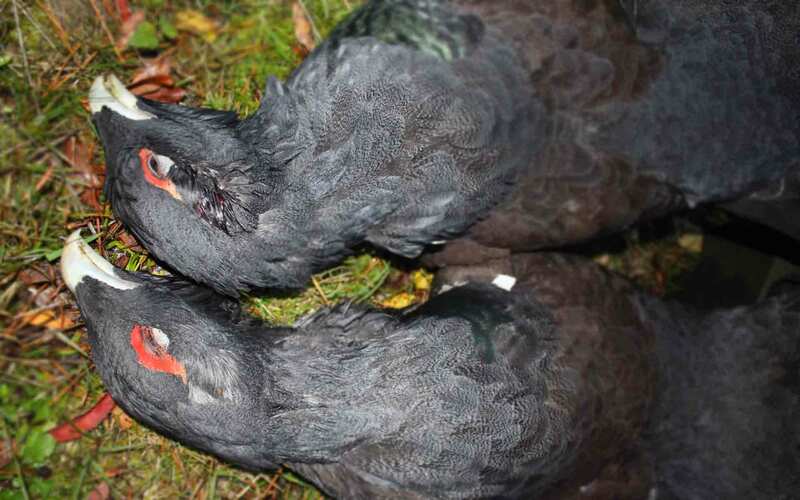 The endless northern wilderness holds good number of birds and thanks to our extensive network we are most likely to land you on the best capercaillie areas each year. If your interest is purely in Capercaillie you can expect to find closest areas from the airport in Central and Eastern Finland. These areas are possible to reach in 5-6 hours driving from Helsinki international airport. You will also find black grouses and hazelgrouse in the same areas. 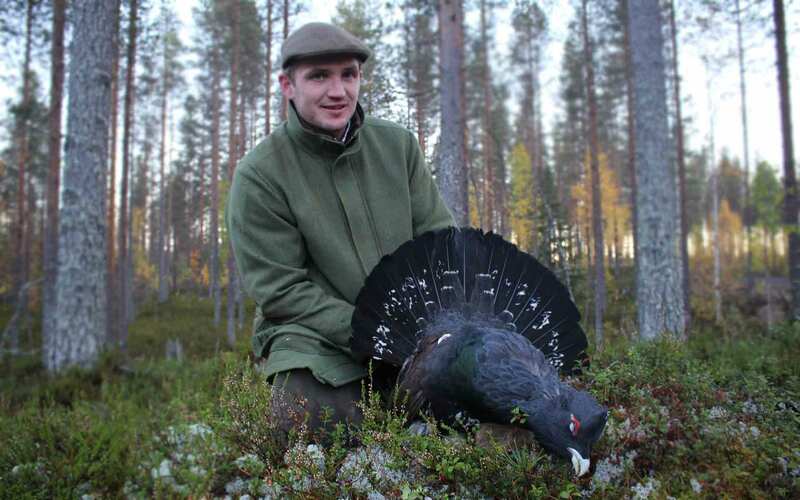 Another option is Northern Finland where you can hunt willow grouses as well as black and hazel grouses. You need a connection flight from Helsinki to Rovaniemi or you can also take a night train from Helsinki central train station. Rovaniemi is located 800 kilometers from Helsinki and you can expect to get there in approximately 10-12 hours by driving. Rovaniemi is also home to Santa Claus.